Cheshire landscaping company, Landstruction, arguably one of the North’s fastest growing full-service landscaping businesses has received another industry leading accolade. 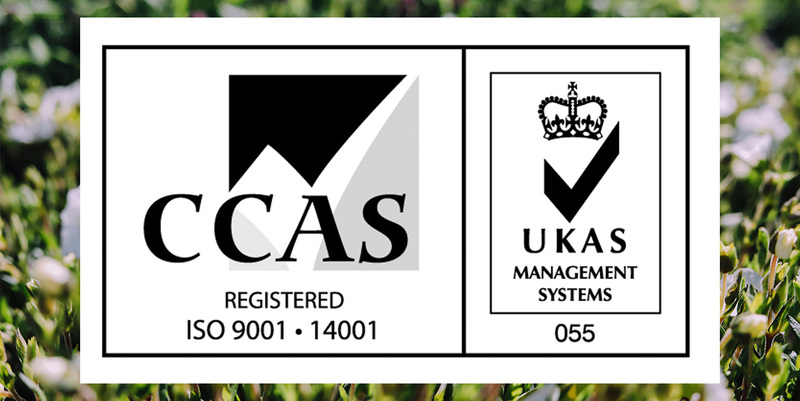 The Cheshire based landscape company is delighted to announce its ISO9001 Quality Management and ISO14001 Environmental Management Standards award this month. Accredited by The International Organisation for Standardisation (ISO), ISO 9001 is the international standard that specifies requirements for a quality management system. This demonstrates our ability to consistently provide products and services that meet customer and regulatory requirements. ISO 14001 specifies the requirements of an environmental management system (EMS) for small to large organisations. An EMS is a systemic approach to handling environmental issues within an organisation. Cheshire landscaping company, Landstruction is the culmination of three generations of landscaping and horticultural excellence. Founded by Gold Medal winners at the RHS Chelsea Flower Show (2015) and at RHS Tatton Park (2011 – 2013), the company excel in hard and soft landscaping. The Big Hedge Co. specialises in beautiful, ready-grown hedges and topiary. Fully mature and instantly satisfying, these natural elements create immediate landscapes and habitats. The transactional website also offers a range of complementary products including soils, tools and irrigation. ISO is an independent, non-governmental international organisation with a membership of 161 national standards bodies. Through its members, it brings together experts to share knowledge and develop voluntary, consensus-based, market relevant International Standards that support innovation and provide solutions to global challenges.